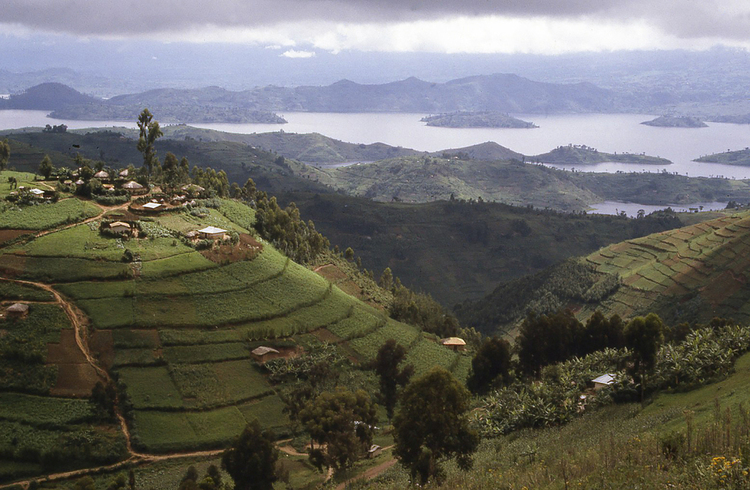 Lush green forests alongside modern cities, Rwanda is a country leading the world on green growth with a mission to maintain a clean, healthy environment. More than a quarter of a century after the country was shaken by genocide, Rwanda has emerged as a surprising travel destination. 21:00 What is Fair Voyage? 42:30 Visiting every country in the world without doing what? Sarah Hepola, is a New York Times award-winning author, journalist and travel writer. Read her article How Rwanda Became the Unlikeliest Tourism Destination in Africa. Alicia Erickson is a writer and digital nomad based between Seattle, East and Southern Africa, and India. Alicia recently gathered a group of girlfriends together and set off on a girl’s trip to Rwanda’s Akagera National Park. Alexandra Pastollnigg is from Fair Voyage, a company working towards becoming the number one ethical travel booking platform in the world. Scholarships Newsletter: Sign up for scholarships news and see what opportunities are live here. Watch our Costa Rica Turtles film here. It was awarded an Honourable Mention at the Travel Video Awards in the US. Five ways Rwanda is leading the world on green growth. Read World Nomads Responsible Traveler's Manifesto. Brexit and travel insurance. Will I still be covered? The World Nomads Podcast, South Africa episode. Explore your boundaries and discover your next adventure with The World Nomads Podcast. Hosted by Podcast Producer Kim Napier and World Nomads Phil Sylvester, each episode will take you around the world with insights into destinations from travelers and experts. They’ll share the latest in travel news, answer your travel questions and fill you in on what World Nomads is up to, including the latest scholarships and guides. World Nomads is a fast-growing online travel company that provides inspiration, advice, safety tips and specialized travel insurance for independent, volunteer and student travelers traveling and studying most anywhere in the world. Our online global travel insurance covers travelers from more than 135 countries and allows you to buy and claim online, 24/7, even while already traveling. The World Nomads Podcast is not your usual travel podcast. It’s everything for the adventurous, independent traveler. Don’t miss out. Subscribe today. Speaker 1: Welcome to the World Nomads podcast, delivered by World Nomads, the travel, lifestyle, and insurance brand. It's not your usual travel podcast; it's everything for the adventurous, independent traveler. Kim: Hi, it's Kim and Phil. And we're shining the spotlight in this episode of the podcast on Rwanda. Phil: As we recall, in 1994, Rwanda was riven by genocide. A million people were killed, mostly by their neighbors, for it was one tribe against another. But fast forward to 2019, and the country has emerged as an unlikely travel destination. It's got mountains covered in lush green forests sitting alongside modern cities. Rwanda is one of the country's leading the world on green growth, with a mission to maintain a clean and healthy environment. That includes a ban on walking on grass, a ban on plastic bags, and a mandatory day of community service, known as Umuganda. On the last Saturday of every month, all Rwandans aged between 18 and 65, and visitors too, they're all required to go outside and clean up a designated area. Phil: I'd do it. Absolutely. I take home three pieces of trash every time I go to the beach. Phil: There you go. And there are many other programs in place to help make Rwanda a low-carbon economy by 2050. Kim: In this episode, we'll hear about a girls trip to the Akagera National Park, if I've pronounced that correctly. Phil: Well, that's not what I said, but I indicated. I didn't believe it. Kim: Including 20 of the least visited. Our first guest though is Sarah Hepola, a New York Times award-winning author, journalist, and travel writer. And she was really keen to be part of this episode after she was sent to Rwanda on assignment for Bloomberg and she fell in love with it. Sarah Hepola: I just don't think I expected to be so affected by a place. I didn't know much about Rwanda when I got the assignment. It was sort of a random lottery, like, "Can you go to Rwanda?" "Sure. Why not?" And, I did the thing where you scramble and do the research, but all I really knew about Rwanda was probably the most ghastly part of its history, which is the part that a lot of us know, which is images of dead bodies lying in the street because a million people have died in a genocide in 1994. So, I knew it had changed; I didn't quite know how much. I think the thing about Rwanda is when you compare those ghastly images that you remember from the news, and then walk into the reality of it, which is this warm place, pulsating with life and love, and this sense of people that have gotten a second chance. I think that is what is so profound about that country. It's been 25 years since that genocide and they have really turned their country around. And people are coming to see them now and visiting them, and there's this feeling of like, "We matter. You like us." There's just this really incredibly warm vibe there, and it's just really profound. Phil: And it makes what happened in the genocide even more significant in sight, something as horrible as that happening to such a nice place. Sarah Hepola: Yeah. I think that it made me think a lot about how I'd sort of seen that as something that could never happen anywhere that I'd lived; that people would never turn on their neighbors like that. But the more I read those stories, the more I really felt like that could happen to a lot of ... I mean, look, we weren't around for the civil war but it wasn't a great time in American history. The way that people can turn on themselves, or the darkness that is in the human heart that also dwells alongside the spirit, I think that's the thing that kind of hits you constantly over the head there. It's very interesting the way that that country is trying to navigate. We're not going to forget what happened, but at the same time, we don't wanna dwell on it because they want the country to be a vibrant place. Kim: It is flourishing. So, how has it turned itself around within 25 years, and to the point where they've got, as an example, universal healthcare, gender equality? Sarah Hepola: Yeah. I think they looked at other countries that were struggling around them and tried to learn the economic lessons. One of the ones they learned was to forge really strong partnerships with certain companies and to create what they call a low ... It's called a low-volume high-end tourism experience. So basically, instead of saying, "Everybody, come to Rwanda," and then having a bunch of footprints trampling across a relatively small country, they said, "We're gonna partner with these really high-end businesses to make travel experiences that are exceptional and rare, and also very expensive. So, it can be expensive to go to some of these places. If you've seen a movie like Gorillas in the Mist, which is the story of Dian Fossey coming to Rwanda in the '70s, how remote it was; how unusual it was for any human to spend time with these very mysterious creatures. The amount of sacrifice, and she basically went crazy trying to study these gorillas. The fact that that experience is available to your common traveler; yes, for a pretty penny, but it's really quite exceptional. And I think, well, Rwanda has done a very smart job of leveraging that asset, as opposed to what can so often happen with an asset that a lot of people want, which is that you end up having this thing and you destroy it by too many people coming in. Phil: Yeah, I think we're getting to the point in travel generally, where it's a privilege to travel. Everybody should have that privilege to travel. But, mass tourism is creating so many problems. You kinda should also be expecting to pay for that privilege. Sarah Hepola: Yeah. I mean, I think so much of my education or awakening was around leaving my own small state, and then leaving my country, which is America, and getting out into the world. But as I've done that more and as I've seen the damage in the land part fill, left by water bottles and all these kind of things, I've realized that we don't just get away from our home, we enter someone else's home. And I think it's our duty to think about how we can do that with a moral conscience. And one of the ways for sure is that travel maybe shouldn't be cheap. It's kind of like it's one of those tough lessons like maybe food shouldn't be cheap, maybe gas shouldn't be cheap, maybe cheap sounds great but doesn't recommend itself for the health of the planet and the people that inhabit it. Kim: Is it though a case of using the gorillas to attract travelers? And, as you say in your article, hopefully once you're there, you'll stay for the rest? Sarah Hepola: Yeah. I think that's what they're trying to do because people will see gorillas on ... It's silly but honestly it's where a lot of people get their travel ideas. You see gorillas on Instagram and it's like, "Wait, how do I get to do that? I actually wanna go to the gorillas." People know about the gorillas. They're world famous for the gorillas. They don't have any interest in going to Rwanda, but Rwanda has done a good job. Now that they've brought in some of that tourism, they're giving incentives to people to stay longer, to go to some of the other national parks. There are like five national parks in Rwanda, and they've got the big five and one of them for your safaris, and they have chimpanzees in another one. I mean, there's a lot to see in that country and it's not a terribly big country. It's also, I should say, a very ... I always think of Africa as like the Sahara or the Savannah, flat and dry. And Rwanda is very green and lush and beautiful. It's called the Land of a Thousand Hills because it's so green. And it's full of farmers; so, you're driving past all this kind of crop land, and it's sort of a beautiful spectacle. But yeah, they're trying to get other people to explore not just the gorillas, because there is a lot more in that country to see. In fact, I would love to go back. There was so much in five days that I didn't get to see. I don't know if you're hearing my cat, the meows? Kim: Yeah. What if it was a gorilla? Sarah Hepola: My cat wants to go back to Rwanda, too. Kim: So you've turned into a cat lady? Sarah Hepola: I sure have. You know what, I'm a proud cat lady, but I wouldn't mind adding a cat fellow to convince. Phil: Well, also we're sharing on show notes your Tinder profile for you. Sarah Hepola: Thank you guys. Kim: And good luck to Sarah on finding love. Links to her story and more about Sarah, probably a tab there to contact in show notes. Alicia Erickson is a writer and digital nomad, based between Seattle, East and Southern Africa, and India. Alicia recently gathered a group of girlfriends together and set off on a girls trip to Rwanda's Akagera National Park, describing it as a unique safari destination. Alicia Erickson: Yeah, it definitely is. It's not a place that people think to go on safari. They think Serengeti, Maasai Mara, Kruger, but I think that most people haven't exactly heard of or don't really think to go to. It's really impressive, the work they've done to rehabilitate the wildlife population. After the Civil War, there was a lot of displaced people who started moving into the area around the park, and unfortunately, a lot of the original wildlife that had once been in abundance got completely wiped out. But in the last 15, 20 years or so, they've brought in a lot of the original animals from other national parks around Sub-Saharan Africa and have done incredible work to repopulate. Kim: So what was your expectation versus the reality of it? Alicia Erickson: I had lived in Rwanda for almost a year before I went. I go to national parks quite often and I guess I was sort of as bad as everyone else thinking, "I've been to some amazing wildlife parks and I think of Rwanda as a destination for volcanoes and lakes and primates. I was kind of thinking, "It'll be like another national park with safaris," such as kind of imagining a Savannah with no animals, which wasn't super interesting to me. And then, it was absolutely wonderful. I loved the fact that we could set camp. That's not something that's always easy to do in a lot of the national parks that you do safaris in around the continents, but it's such an easy, few hours drive from the capital, and, unlike the rest of the country, it is absolutely lush and green and mountainous, and the animals were in abundance. Maybe it was a special weekend and they came out just for us, but it really completely shattered my expectations of what I had been imagining. Phil: See, I mean, mountainous? I'm looking at the photos here, that's what's really striking about it. Alicia Erickson: Absolutely, absolutely. And at one point, we were allowed to get out of the car. Our driver, who was really fantastic, and our guide for the day, he said, "Why don't you get out here? It's a wonderful spot to walk around and take some photos." And I was saying, "Well, you never get out of a car in a safari. What do you mean?" He's like, "Yeah, yeah. It's fine." And it was in the part that was mountainous, and there aren't predators that live in that part of the park, and just getting to walk sort of along the mountainous edge, look down into the valleys, and seeing some of the antelope and the zebras down below. It was stunning. When you think of mountains, you think of the gorillas, you think of chimpanzees, but you don't think of all of the typical animals that you might see on a safari roaming in the same terrain. Phil: Now, in a piece that you've written, for his own, World Nomads, you were talking ... And you've just mentioned in then, the guide that you had. And he had this uncanny ability; he just spot animals. Tell us about that. Alicia Erickson: It's really amazing. I mean, he's driving the car, and he's talking about the history of the park, and his training as a guide. And we're the ones looking for the animals, thinking. He's like, "Well, let me know if you see something. I'll stop the car." And like, "Okay. This is our one job." Every time he slows the car, "Hey, hey, look over there." He has binoculars that he's using as he is driving. I've had it with the men, I've had it with other guides, and they are just so talented at being able to spot an animal from a mile away. It's like they sense where they are, I think. It's really quite incredible. Kim: This camping trip, was it full of disasters? Could you cut wood? Did you not have a cook? Or did the three of you just laugh your way through it? Alicia Erickson: A little bit. I do camp. I'm from the northwest in the US; I think camping is something I commonly do. But firewood comes pretty cut there. And when we were reading up on the campsite, we're told, "there's firewood there, there there's fire pit there." It's like, "Great. We brought the food, we had the pots and pans ... It's no problem. We have everything we need. Water ... So, we get there. And Rwanda's rainy season, it's a bit tentative. The rains start to come and go, starting in October, November, and they're really unpredictable. It will be sunny one minute and then downpour the next minute. Our luck, it was absolutely pouring on our drive there, which we were grateful had let up by the time we reached the campsite, but I hadn't really thought that the firewood that would be there would no longer be in its prime condition for making a fire. And as we get to the campsite, we look around. Where is the the firewood? And then there are these huge trees, four full logs of trees, uncut with an axe sitting next. That's the firewood. Okay? Phil: The beauty of firewood like that is it warms you up twice; once when you're chopping it, and once when you're burning it. Alicia Erickson: Absolutely, yeah. Here we are, three girls. I thought I was often camping, an axe that we can hardly lift, and entire trees that we are supposed to chop for firewood. It takes a long time to hack away pieces. We also realize at this point that we have a lighter but we forgot any sort of fire starters with us. I honestly don't know how we ended up chopping the firewood into viable pieces, gathered some bark and twigs and anything we can find, a piece of paper in the car. After about an hour, we finally coaxed the fire to start. And, of course, melted the plastic handle on the pile as we were cooking our dinner. But roasted some vegetables, poured some wine, and we're very grateful that we had a fire. Phil: You had the magic ingredient, a bottle of wine. Alicia Erickson: Yes. Yeah. Of course. Of course. We had the wine. Kim: If I looked at the logs, the wine would have come out straight away. Kim: Well, it sounds like the ultimate girls trip, to be honest? Alicia Erickson: Yeah, it was absolutely fantastic. Kim: And you can't do anything without wine, or at least I can't and nor can Alicia. Apparently, wherever she goes, she has a glass of wine in her hand. Her story and show notes, but what's travel news? Phil: I guess we have to talk about the grounding of the Boeing 737 MAX 8 and 9 aircraft, following that horrible second fatal aircraft accident. The cause of those is yet to be determined. So, when we go to air now, we still don't know. You may be listening to this later on when we find out what it is. But the 2737 crashes this year means there have been five fatal aircraft crashes this year, claiming 190 lives. That's compared to the five year average for over the same period of three crashes, and 105 deaths. So, it's a bit above the five year average but it's worth keeping this in perspective. In 2018, there were 38 million individual flights of commercial airliners, and 15 fatal accidents in total. So, that makes an accident rate of one fatal accident per 2.5 million flights. Kim: So, it's very unlikely but still, it has happened and that's very sad. Phil: Yep. And you remain many, many, many more times likely to be killed driving to the airport to get on a plane than you are actually on a plane. So, just keep that in perspective. Sad, tragic, and I think granting the aircraft is a very sensible idea. When or if Brexit happens and the UK leaves the European Union, British travelers, used to just hopping over to Europe, might be in for a bit of a shock. Look, you World Nomads insurance policy is unaffected. It will be a seamless transition. You can read about that if you want on our website. But be careful not to fall foul of other laws that will suddenly apply to Brits travelling Europe and Europeans visiting Britain. I'm talking about things like Visas and passports, and certain vehicle insurances. I anticipate there will be few people who are tripped up by the changes. Don't be one of them. Make sure you understand your new obligations. We've got an article on the World Nomads website explaining a few of those rule changes that you need to be aware of. I will put a link in show notes. Phil: I came across this rather fun piece recently: How travel has changed; 21 things that no longer exist. And we're gonna be showing our age here. Kim: Exactly, exactly. But, have heard of these. Phil: Traveler's checks don't exist anymore. Phil: Okay, go on. Paper airline tickets. Kim: Oh, I used to love a paper airline ticket. Kim: Yeah. It really meant you're going on a trip. Kim: You just need your phone now that's got a calculator, got a torch, and it's got the music. Phil: Poste restante. Do you remember what poste restante is? Phil: Somebody could write to you from home, and you'd send them a letter and say, "I'm gonna be in Rome in three weeks. So, you can address a letter to Phillip Sylvester, poste restante, Rome, " and it would be held at the main Rome post office. I would turn up there whenever I got there and go to the little poste restante office, and tell them my name, and show them some ID, and they'd hand me the letter. Phil: Very cool, isn't it? Kim: Yeah. That's new age, almost. Phil: Have you heard of IMO? Kim: Oh, the good old days. Phil: I tell you guy, that's it. Kim: Thank you. That was great. Fair Voyage is working toward becoming the Number 1 ethical travel booking platform in the world. You went missing, so I grabbed Alison who writes our travel safety stories. Kim: To find out how they planned to go about that when we chatted with Alexandra from Fair Voyage. Alexandra: Fair Voyage is trying to solve two problems. The first one is that I had experience when I went to Africa for the first time, two years ago. I wanted to go ... Back then it was climbing Kilimanjaro, and going on safari, and I was also thinking of going to the beach in Zanzibar. And I just realized that as a traveler, that booking something like that, such a multi-day complex trip, was really complicated. It took me many months of researching to find my best offers, and to compare all these different companies; and so, I just realized as a traveler, that doing one of those complex trips is difficult. And then the second thing that happened is that I became aware of ethical and sustainability issues in travel. And specifically for me, what triggered me was learning about the exploitation of porters on Mt. Kilimanjaro. And so, the second problem we are trying to solve is these irresponsible practices in travel that is still happening, and often they are still happening because travelers are not even aware, and so travelers book with their own companies. So, what we are trying to solve a Fair Voyage is making it easy for travelers to go on a complex trip, but only with the most responsible, and sustainable, and ethical companies. Kim: Ally, what do you make of Fair Voyage? I'm guessing that you would love the idea? I'm actually also a former travel agent, so this is also something that I think would be very beneficial to the travel agency world as well. But just as a traveler and in general, I think it's really important that people look at what they're planning to do and what they buy, and particularly where they're going. There's a lot of exploitation out there; some of it is overt, and people still think it located, participate in it, whether it's drugged up tiger photos or whatever. And then there's the covert stuff, and it's often the covert stuff that a lot of travelers don't realize often that's doing a lot of damage in the background and it's having a ripple effect as well. Alexandra: Yeah. No, absolutely. I fully agree with that, and that's exactly the problem we're trying to solve. A challenge here that we are seeing is that we travelers often have the tendency ... I mean, we're real smart and educated people. And then we go travel somewhere, and we spend maybe a week or even a month somewhere and we think we know it all and have seen it all. And, as Alicia said, we only see the obvious things. And yet, we only see what we're meant to see, but we don't see these hidden practices. We don't see how people working in travel are really being treated. We don't see how the local communities really live and how they feel about us coming in and being there. So yeah, there's a lot of hidden things that we don't get to see. Kim: And I guess too, a misconception is that you don't necessarily need to volunteer somewhere to be a traveler with a conscience. Alexandra: Yeah, you don't need to volunteer, and I would even go further to say that volunteering can actually be very harmful. The challenge, I guess, is that we are all living busy lives and then often they feel like, "Okay, now I go on vacation and I want to see something meaningful. I want to use medication to really contribute, but often the way we want to contribute is not necessary. It may make us feel very good but it is not necessarily having a positive, and sometimes even a very negative impact on the low population. Like all these volunteering, I guess with orphanages, there is a big awareness now that this is not okay; this is more than slavery. But then there's also ways, like going to teach in a school, or building a school. It's not like they have a shortage of manual labor anywhere in this country, so I think it's more for us to feel good, but not necessarily having a positive impact to the community. Kim: Obviously there's the simple things that people can look out for, for instance animal experiences, not having photos or selfies done with animals. But what other things can people do that are easy to also try and combat the covert problems? Alexandra: Yeah. It's a good question. Actually, sticking with photos, you mentioned the photos with the animals, I would also like to address the point of taking photos of people. We specialize in Africa, and so what we often observe, and I wouldn't say that I've been any better as a traveler myself because the tendency to do so is very easy. That we go somewhere, and I may want to take people with locals. So, we go and take photos, and often we don't even ask people whether that's okay.I guess a good approach would be to treat the local communities in the same way we would want to be treated if they come visit us in our home. So, would be happy for them to come and take photos of our children? Most likely we wouldn't. So, it's treating them with the same respect; and so forth, taking photos as one example. Another example is that visiting local villages and local communities has also become a very popular trend of getting the intimate experience and the authentic experience, but we should also think, "How do people there feel when all of a sudden ... So, they've been living for centuries in the local communities, not having a lot of foreign visitors. And all of a sudden, they come in tour groups and storm their village and take photos, and then they're gone again. Kim: You mentioned what Fair Voyage, does and you have said that you would like our audience to know about the hidden abuses that many travel workers experience. Can you expand on that, and then kind of tell us practically, how we would even be aware that this is going on? Alexandra: That's a good question. I would like to give the example of Mt. Kilimanjaro, because that's just our initial estimation and the reason we started Fair Voyage. So there, the problem is exploitation of porters. And the problem there specifically is that these people are not getting paid enough, not getting fed enough. They may have very poor equipment. One thing you can observe as travelers is what kind of shoes they wear and what kind of jackets and clothes during the day, but we don't get to see the tents they sleep in, if their sleeping bags or blankets are warm enough, if the tents are keeping dry when it rains. And the challenge here is, that even the directors of these companies, sitting in an office somewhere in the city, may not even be aware how their own tour guides are treating the porters on the mountains. So, even their own company may have difficulties monitoring their own operations. And because of that, we have come to be convinced that the only way to really be sure is if there is an independent audit. Mt. Kilimanjaro is a really good example because there is a really good independent monitoring scheme run by the so-called Kilimanjaro porters assistance project. And what they do is to have an independent anonymous investigative porter on every climb, austere, responsible porter companies, who comes back to them and anonymously reports how the reality really was. Kim: Now, Rwanda is a place that certainly turned itself around. Is it on your radar as a place that's doing something about ethical travel? Alexandra: Yes, definitely. And I think Rwanda is very advanced overall as an economy and then in terms of sustainability, not only in travel. They're very advanced. For example, it's one of the few countries globally that have banned plastic bags. And they're doing a lot of things. I had to show ... I was lucky. I had the fortune to be invited to participate in the conference that was hosted by ITC, which is a joint venture between the UN and the WTO, under the program that they called She Traits, where they try to bring the local female tourism enterprises into the global economy. And they had a specific program in Rwanda and Uganda for female tourism entrepreneurs that I was invited to participate in, one or two years ago. And so, actually I went there and I met with a lot of female tourism entrepreneurs. One thing we brought out back then, when Fair Voyage, it was in existent yet. We were still having our only delegate. And we presented our idea for Fair Voyage in our business model and the kind of companies they were looking to work with. We said that one of our criteria is for sourcing companies is that there is an independent responsible travel certification scheme in place. And back then, I said, "I'm really sorry because in Rwanda, the same was true for Uganda, there was no such scheme in place yet." And I said, "I wouldn't really know how to screen for companies and who to work with." Then, one thing happened that was truly amazing, really fascinating. Is that, all the people in the room, all the women, female, tourists, and entrepreneurs, as well as the local tourism stakeholders from different associations like the Tour Guide Association, the Hotel Association, and so forth, they all came together in these few days and said, "Yes, we want to introduce a responsible traveler certification scheme into Rwanda. And so, they initiated conversations that the global responsible travelers scheme I mentioned earlier, Travel Lives, and are now working with Travel Lives to start adopting responsible travel scheme in Rwanda so that they can also get independently audited towards their sustainability standards. So, what I've experienced is that Rwanda is very much trying to position themselves as a leader of sustainability in Africa. They're almost like Switzerland is in Europe, I compare Rwanda in Africa being the Switzerland of Europe. But yes, it's definitely they can join our radar because of their strong community sustainability. Kim: If you're interested in learning about how you can be a more responsible traveler, visit the Responsible Travel section of the World Nomads website and read our very own Responsible Traveler's Manifesto. Phil: And if you'd like to give back to the communities you're travelling to, you can also make a micro-donation every time you purchase travel insurance with World Nomads. 100% of your donation goes directly to the project of your choice. In fact, our Costa Rica turtles film has been awarded an honorable mention at the Travel Video Awards. It was made to document one of our footprints projects about our community initiative, Protecting Sea Turtles. World Nomads Travelers raised $20,000 to go towards it. So, thank you. Kim: Yeah. Awesome. And there'll be a link to the video in show notes. Now, in like 28 [inaudible 00:32:31], a Norwegian, Gunnar Garfors, recently traveled to Estonia. Well, he didn't recently 'cause I just said it was like 2019. But anyway, it was for the second time. Becoming the first person to visit every country in the world twice. He came up with the idea after researching his book, Nowhere, about the world's 20 least visited countries. Gunnar Garfors: I was actually writing, doing this to write a book about the 20 least visited countries. In order to do so, I had to go back to those 20 obviously, to do research. And I realized, I'm meeting so many incredible people, seeing so many great gazes, again some of them for the first time, others for the second time. I realized that no country in the world deserves to be visited only once. And also, in order to be able to travel to compare these 20 countries with all the other countries properly, I realize that, "Yeah, now I'm gonna do it." Of course, this was before I checked my bank balance and I've been struggling financially ever since. But I made it. I was celebrated in Estonia in style with 20 friends and so many of us. Kim: Do you have a publisher or are you going to be self published? Is this something that you just wanted to do yourself, that you thought someone might take up? Gunnar Garfors: No, I have a publisher here in Norway. My first book was published in English and in Norwegian. I'm still looking for an English one for this particular book. Being a Norwegian writer, you're entitled to get a scholarship from the Norwegian Author Association, given that you have a good idea that a publisher will actually pick up. So, that made it possible for me to take leave for almost a year in order to do this. Otherwise, I would not have been able to finance it. Being a writer here in Norway is not too bad, except that we're far. We're very far from any other countries. So, it takes a while to fly anywhere. But you have to think about this; that every one of us, regardless where we're from, whether we are from Burundi, or we are from Samoa, or we are from Paraguay, we consider ourselves living in the middle of the world, the center of the universe. And you have to take that into consideration when you travel, 'cause you are meeting someone, you're visiting someone in their home, and that's where most of their life or all their lives have been. You can't assume too much when doing that. I love traveling, really, to different cultures, as I put it, outside this Western bubble, and then sort of look back into the Western bubble. I think that's really when you need get something as special out of travelling. It's so easy to keep traveling, even in African countries, in Southeast Asian countries, remain in this Western bubble 'cause you can go to really nice hotels and sort of stay there, and not even talk to the locals. And in my opinion, then you don't really see, or learn, or experience much. Kim: Yeah, I couldn't agree with you more. But that kind of travel philosophy comes with a lot of trust, doesn't it, on behalf of the people that are taking you in or showing you the experience or cooking you a meal. And also yourself on being open to walking into somebody's house, or going into a village that wasn't on your itinerary. Gunnar Garfors: Well, it does indeed. And a lot of people, it takes a lot so that would scare them. They would not feel ... They would not feel safe there. But I think, if you think about it, to living is lethal. It's gonna kill you in one way or another. So, you can either walk around and wait for a roof tile to hit you in London, or the tram to run you over in Berlin. So, you might as well just hide in your closets at home, and then your house is probably gonna burn down. You have to sort of open your mind, in my opinion, and just go and trust other people. Everybody, almost everybody, they they want the best for you. They're hospitable. They invite you to their homes, they cook you dinner, they invite you to their children's weddings and so on. So, I have, with very few exceptions, only met people that are lovely and caring. Kim: Obviously, you have to take into consideration your own safety, and there are areas that you would avoid. In fact, I'm interested in your 198 countries, how many war-torn places have you visited? Gunnar Garfors: Well, it's quite a lot of them. And I don't go to the frontline for obvious reasons. And even in a war-torn country, you will always find somewhere where it is safe, or relatively safe, or which is not really taking part in the war. So, even in those places, you will find very nice and friendly people that are somehow affected by the war, but that still doesn't make them not care about you. Kim: Do you come across that? Maybe something that you've read in the media where they've said, "Stay away." And once you've kind of got there yourself and lifted the lid on it, it's perhaps nothing like the media would like to suggest it is? Gunnar Garfors: Yeah, all the time. They always tell me to stay away. The Norwegian State Department, they told me to stay away from I think 35, 37 countries. If I'm gonna listen to them, or if I were gonna listen to them, I could never have visited everywhere. And, it's always the same. You go there and you've read so much, usually bad stuff. It's only about terrorism, hunger, hand grenades, and awful wars and awful stuff. And then you get there and you realize that that's a very [ta-bu-la-di-ze-d 00:38:23] part of reality. People are everywhere, you have children everywhere, families everywhere, and when they meet you, and in particular in places like these, they're really curious. Say, "Why are you here?" You're invited like an old friend. It's nothing like being a tourist in a tourist area, where you're more or less seen like a walking bag of cash, and everybody wants to leary into some activity or another. It's real, and you get to see the real country. Kim: What was your aim? What were you trying to find out in visiting these countries? Gunnar Garfors: Well, I wanted to, well, first of all, find out which countries are the least visited. And you have the UN, their World Tourism Organization, they have a list of every country in the world, and most of which report in tourism numbers. But quite a few are missing, and all of those belong to the bottom of the list. They don't have many tourists, or have almost no tourists. So, they don't spend any money on employing anyone to look after the tourists, or tons of tourists, or whatever. So, I wanted to complete this list, the UN list. I tried to do that before using only the Internet, researching on Internet, emailing, phoning and so on. And I wrote this article back in 2013 on my website, and it received millions and millions and millions of hits. And I believe that people are a little bit ... It's not tied off, but they are at least looking into travelling to more exciting destinations than their neighbors and colleagues. Then they wanna find out what are the least visited countries in the world. The 20 least visited countries in the world are sort of divided into two: You have Yemen, you have Somalia, you Afghanistan, South Sudan, war-torn places. And the other group of countries are typically island nations that are really bad at marketing themselves, or where almost no planes go. Kim: You mentioned Afghanistan, and we've talked about this in the office, there's a lot of Afghanistan that's quite safe. Gunnar Garfors: There is, of sure. The province of Bamiyan is the safest. It's the only, out of 34 provinces in Afghanistan that's actually got a tourist office. They organize ski and snowboard competitions once every year; it's open to anybody. And you just have to get to the top of the slope, and then you have to pass the number of checkpoints, and the first person to reach the finish line wins. It's quite a normal for skiing rules. But they have one specific drill, which would only apply in Afghanistan. That's, no weapons allowed in the slope. It is quite sad really that they need to have a rule like that. But weapons are everywhere; not so much in Bamiyan, I must say. They don't really need military presence 'cause it is a safe province, and it's beautiful there. The lakes, the mountains, the ancient statues ... Yeah, it's definitely worth visiting. And it's safe to go. You will have to fly via Kabul, the capital, but that's probably the safest airport in the world. I think there are nine security checkpoints to get into the airport. So, if you fly into Kabul, and you just translate to domestic flights to Bamiyan, you'll be totally safe. Kim: Phil, his book, Nowhere, is due out in April 2019, and he has said, when asked, "Will you travel to the countries for a third time?" "No." Phil: No. I've been there, done that. Phil: Look how I was skeptical about that when you first told me we're gonna speak to him. Kim: It's a lot. That's a lot. Kim: Anyway, our fellow Norwegian, Thor C. Peterson, is currently on a quest to visit every country, too. But he's doing that without flying. He started in 2013, and hopes to finish by the end of 2020. Phil: A slow boat to everywhere, there you go. Look, if you enjoyed our episode on Rwanda, you might like our podcast showcasing South Africa. Speaker 9: Our boats are huge that we carry up to 40 people. Obviously, the bigger the boat, the bigger the cage. And we eight put people in a cage at a time. So we eject the shores to the boat. Kim: Has anyone ever poop themselves? I'm telling you, we take a thousand people a month; a thousand people from all walks of life, being males, female, big, small. They have pooped themselves. Kim: You'll find that episode in show notes, and you can get the World Nomads podcast on iTunes or download the Google podcast app. Ask Alexa and Google to play the World Nomads podcast, and feel to get in touch. Phil: Podcast at worldnomads.com. Drop us a line. Kim: Now, next week we meet an amazing nomad, who was paid to dance his way around the world. But it's not the style you might expect. We're not talking ballet. Kim: And did I really need to say it like that? We're not talking ballet. That's the next line. Speaker 1: The World Nomads podcast, explore your boundaries.